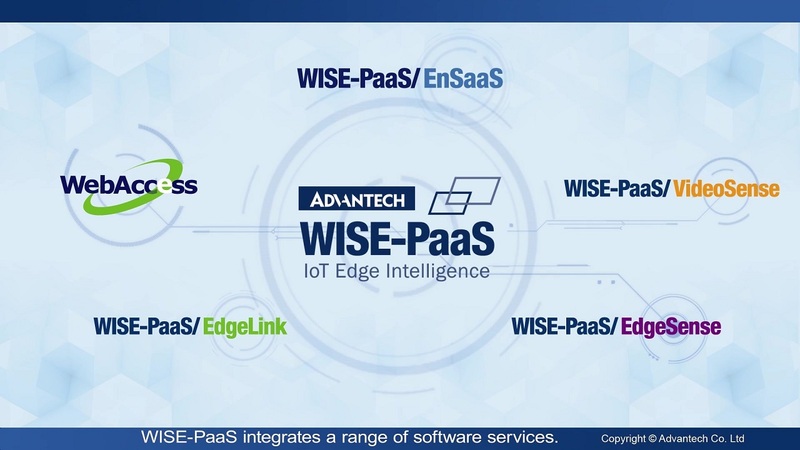 Advantech WISE-PaaS/IIoT aims to ally with partners to co-develop vertical solutions and to develop more solution ready platforms to cultivate Industrial IoT and Industry 4.0 business opportunities. Manufacturing factories are getting smarter and smarter. The transformation of productivity technology is evolving from solving visible problems to creating value by using smarter information and utilizing new methods &amp; techniques to solve hitherto undiscovered problems. Thus, Factory Automation solutions should aim at satisfying the demanding requirements of industrial applications. Allied with software partner, Microsoft, the intelligent platform UNO with Azure IoT (ESRP-CSS-UNO2484) is a cloud-ready secured edge analyzer. Featured with numerous IoT analysis modules deployed from Azure IoT, secured edge-to-cloud communication, and data processing through OPC UA, ESRP-CSS-UNO2484, is an ideal edge computing solution. Advantech’s Facility Monitoring and Control System constructs an internal network in the plant based on Client/Server structure with monitoring host, data acquisition controllers and software suites provided by Advantech, which realizes operational simplicity, information security and high scalability. The software installed in the host provides default screen images to facilitate system integrators to map out their applications; while programming software installed in the controllers provides logistic and arithmetic calculations to fulfill control demands. To meet the requirements of the high-tech plants for 24/7 operation, a redundant architecture is also provided which will shift the job to a backup system if the main system suffers a power outage or communication interruption. Provides easy-to-use and easy-to-understand graphic interfaces, e.g., all-area alarm overview feature to reduce the workload for workers on duty and all-area equipment overview to allow operators to understand resource usage status in the plant. The database up-moving function integrates sub-system and central center database with simple clicks and reduces time for data comparisons and thus improves efficiency, which is ideal for time-pressing hi-tech factories. With wireless LAN the system can realize mobile management and remote maintenance. Renewable energy solutions are receiving a lot of attention lately as concerns over our reliance on fossil fuels and climate change increase. It refers to using energy generated from natural resources such as sunlight, wind, rain, tides, and geothermal heat. As many industrial companies seek to reduce our footprint on the environment, more efficient power and energy is becoming a critical issue. 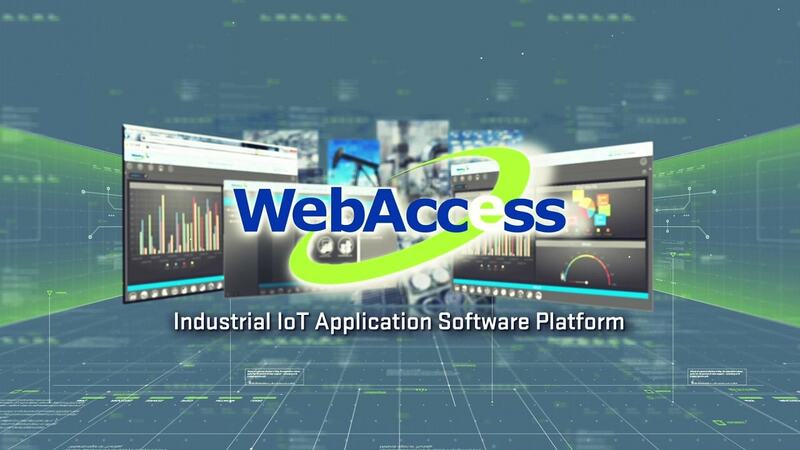 Advantech’s WebAccess/SCADA is a 100% Web-based SCADA software solution/IIoT platform with open interfaces for developing IoT applications for various vertical markets. With flexible data analysis tools in Dashboard 2.0 and a new app for iOS and Android platforms, WebAccess/SCADA allows you to manage your applications from any location. 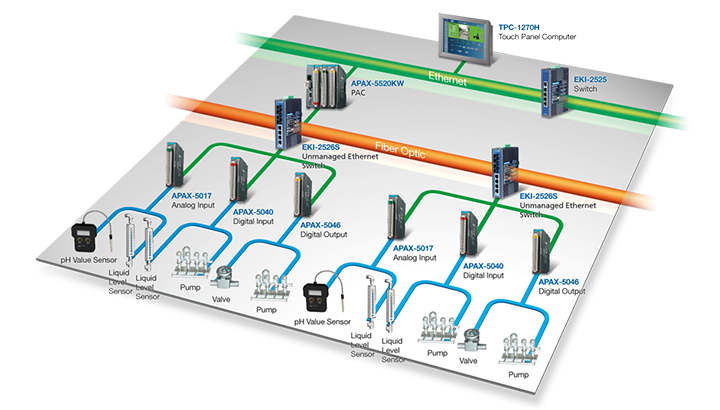 Advantech provides PAC controllers to enable automatic execution of sewage treatment processes, as well as data acquisition and transmission equipment to forward data acquired form sensors and controllers to the control center. The HMI/SCADA software installed in the host at the control center, with a B/S (Browser/Server) networking structure, not only can implement centralized data treatment and applications but also allow client users at remote sites to browse and operate the system—for example, to start or stop the operation of pumps, which will help to greatly increase the efficiency of sewage treatment. First configuration software in the market to adopt B/S networking technology which allows users to implement remote monitoring and control with a standard IE browser; powerful capabilities of remote diagnoses and remote maintenance are very useful for large systems like water resource distribution center. Application platform with an open structure to provide excellent scalability for constructing large systems quickly. Integrating 3D, Flash and WebGIS to provide easy-to-read and vividly presented data. DDNS functions to solve communication problems in a dynamic IP network. Support functions of alerts and alarms, video monitoring, and remote monitoring and control via mobile phones. Due to the multiple management functions and wide range of expertise, modern Building Management System(BMS) is quite complex. Successful building management not only needs to link to a multitude of devices but also take account of the suitability of the software for the intended application. 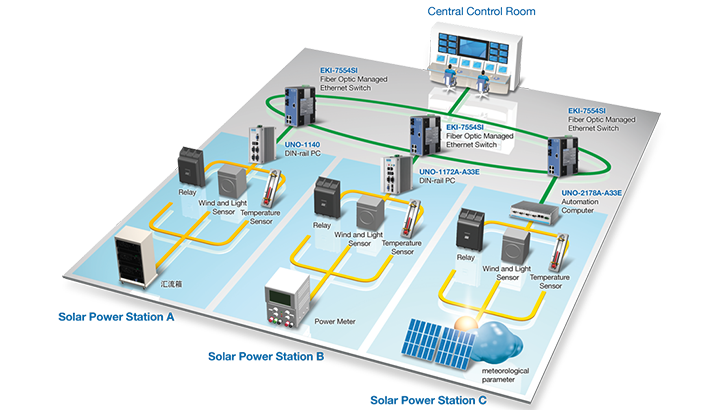 The corporate group or business chain installs energy data gateway(s) in each of their buildings to form separate energy data acquisition centers which forward acquired data via corporate or public network to the energy management system at the corporation’s central energy data management center where administrators obtain energy consumption information quickly via simple and intuitive operations. The energy data gateways transfer communication protocols and forward data acquired from measuring devices to the upper layer databases at the energy management center over TCP/IP. The data gateways will replicate and save data on a CompactFlash card and will automatically recover data after a network break to ensure continuous and highly-available data stream processing. 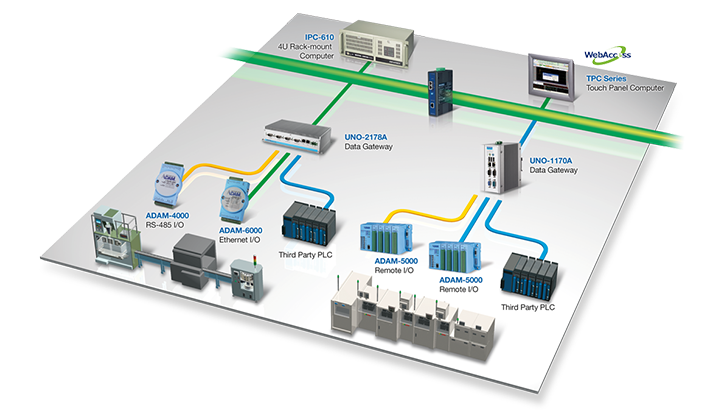 Each data gateway in a building data acquisition center can connect up to 64 water, power or gas meters. Entirely web-based browser incorporating WebGIS to help proprietors easily pin the location of their building(s) and implement remote management over the energy use of their building or building groups cross a vast area. With an overview of features to present energy consumption data of each and all of the buildings to allow users to understand real time energy consumption status; indicators and trend analyses are provided as references. Presentation of monitored building energy consumption data by area and by item, such as power, water, gas, cooling energy and thermal energy; both real time information and historical trends are provided. The oil and gas industry is still at the heart of the world’s energy supply. From exploration and development, drilling and production, to fuel transportation and processing, creating reliable, efficient and accurate monitoring and control systems is important for every stage of the oil and gas industry. 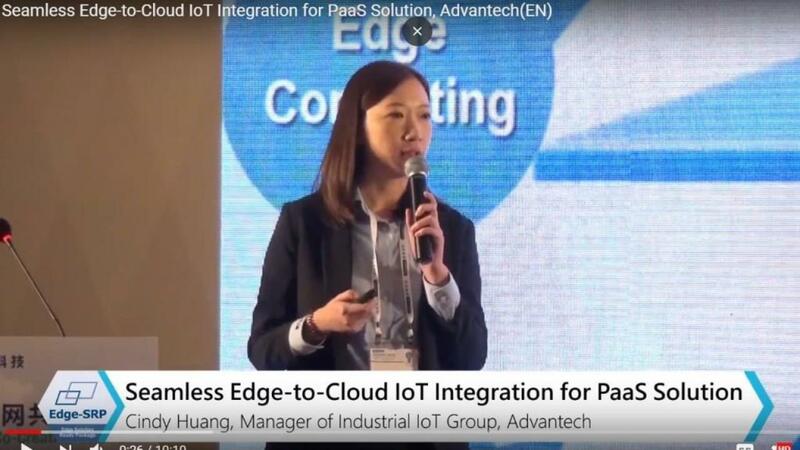 Advantech oil and gas IoT solutions enable data acquisition via sensory layer and digital communication via transmission layer, and use WebAccess to connect the application layer. In that way they help oil and gas companies to construct a comprehensive IoT system which is able to cover each link of their operations, from production, transportation, storage to sales. Real time acquisition and process of data in the monitoring system to create graphs and databases. Brower-based applications to allow authorized users to log in the system to conduct remote operations, anywhere and anytime. Capable of transferring different communication protocols, suited to serve data gateways and be applied in a large-scale pipeline monitoring system that often needs communication protocol transfers. First configuration software to adopt B/S networking technology to create open application platform with ultra high degree of scalability. 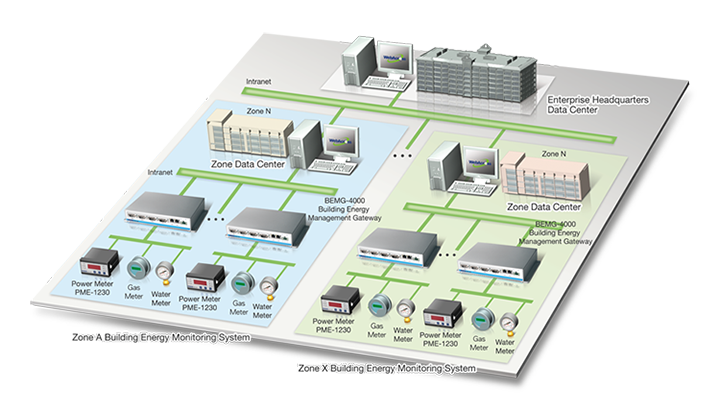 Optional SCADA nodes to provide various multiple solutions for constructing large systems.